We recognize students with distinguished academic, attendance, and citizenship records and support them as they progress through secondary school, a vital and often vulnerable time in their lives. If you’re interested in a one-on-one impact that pairs one sponsor with one student, Uphuhliso is the program for you. THE UPHUHLISO MISSION, based strictly on home- and school-centered intervention, provides educational and career opportunities that will promote just, civil, and hopeful societies. 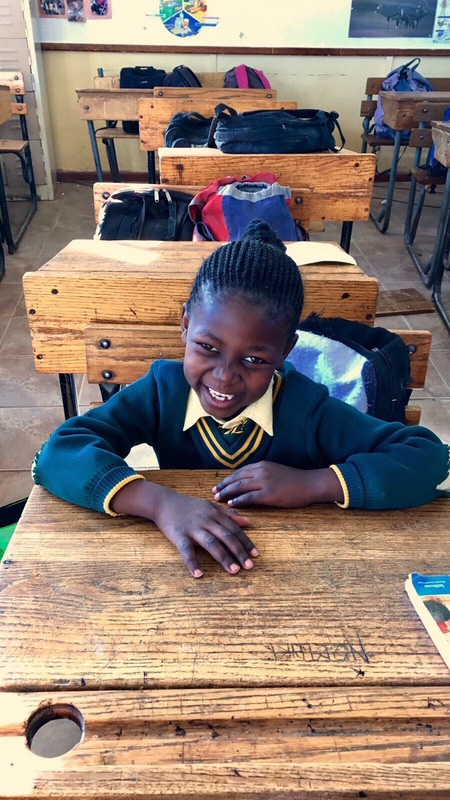 UPHUHLISO means empowerment and development in Xhosa, and we are delighted that a vibrant part of our mission involves the empowerment of high school students, those often overlooked in the world of giving. Secondary school students face ever-present temptations and crippling economics; nevertheless, they forge ahead. If the Uphuhliso students adhere to the strict standards of Uphuhliso membership, they receive the essentials as they make their way through secondary school: a school uniform, shoes, supplies, a solar calculator, an English dictionary, and a backpack. If the student remains in the program, each year he or she receives a year's-worth of school supplies and a new school uniform and school shoes, if necessary. In addition to all of the above, subsequent years come with incentives and recognition. During the second year, for instance, a learner earns a school blazer. During the third year, a student earns a winter uniform. During the fourth year, a learner receives guidance for the college/university application process. At the end of the fifth year, upon his or her passing of the matric (the high school exam) and successful graduation from high school, the student receives a laptop as he or she moves on to college/university. As a UP sponsor, you will receive a photo of your student and perhaps learn about his/her family situation, favorite activities, and dreams, and one to two times per year we strive to have you hear directly from your sponsored child. This one-on-one program is impactful and necessary, particularly given the challenges students face in high school as they strive to stay the course to carve out a different, more hopeful future. We encourage you to stay up-to-date by checking the Universal Promise Facebook page.